Fact or Fiction? Is there really a secret space fleet? 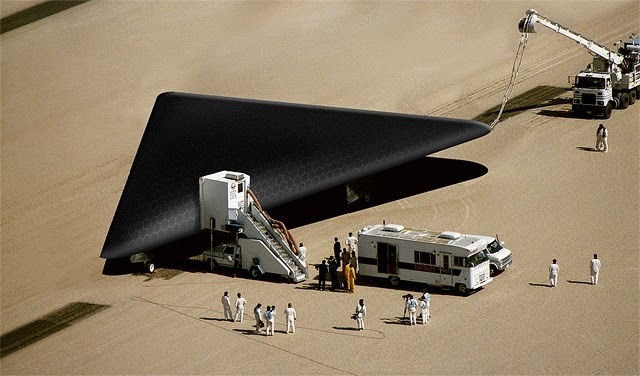 Between February 2001 and March 2002 Gary McKinnon, who was initially looking for evidence of free energy suppression and a cover-up of UFO activity and other technologies potentially useful to the public, hacked into 16 NASA computers as well as dozens of US Army, Navy, Air Force, and Department of Defense computers. The Americans believed he had caused $800,000 (£487,000) worth of damage to computers. In the last decade, countless whistleblowers have come forward arguing that there are shady organizations within world governments that have been operative under extreme secrecy. Declassified documents—made available thanks to the Freedom of Information Act (FOIA)—have given unprecedented insight into top secret programs that were previously considered as just another ‘conspiracy theory’. Curiously, many former astronauts have made intriguing comments in regards to alien life. I suspect that in the last 60 years or so, that there has been some back-engineering and the creation of this type of equipment, which is not nearly as sophisticated yet as what the apparent visitors have.” –Dr. Edgar Mitchell, the sixth astronaut, to walk on the Moon. Interestingly, thanks to statements from former astronauts and government officials, these subjects have slowly transitioned from being a conspiracy theory, to ‘real accusations’ backed up by information. But quotes are one thing, where’s the evidence? According to a man who—somehow—managed to hack into NASA and U.S. Navy computers, all statements from different whistleblowers about secretive space programs, highly classified technologies, and even alien life are correct. Between February 2001 and March 2002 Gary McKinnon, who was initially looking for evidence of free energy suppression and a cover-up of UFO activity and other technologies potentially useful to the public, hacked into 16 NASA computers as well as dozens of US Army, Navy, Air Force, and Department of Defense computers. I kept thinking, ‘They’re going to close this door’. I scanned and looked for documents, I found an Excel spreadsheet which said, ‘Non-terrestrial officers’, states McKinnon. Furthermore, the NASA hacker claims that he uncovered around 25 rows of details of officers’ ranks, names and ships accordingly. McKinnon firmly argues that the ‘secret space fleet’ has WARSHIPS with prefix USS, just like all vessels belonging to the USA. But are these just empty claims? Is this just a massive conspiracy? Thompson and McKinnon aren’t the only two who’ve spoken out about a secret space fleet. So what’s your verdict, fact of fiction? Some would say it’s all a massive conspiracy, and quotes, information and declassified documents were taken out of context but, the truth is that there is plenty of stuff which makes it hard to tell. Many would agree that there is abundant evidence which points—at least partially—that society has not been told everything there is about UFOs, Alien life, and extremely advanced technology. Previous Article← Did Our Ancestors Knew New Technologies?